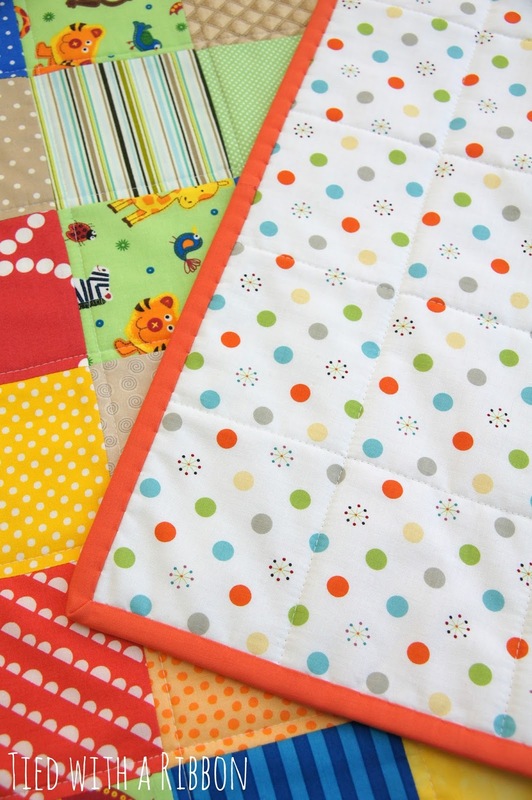 All finished this week and now on their way to 2 new bundles of joy! 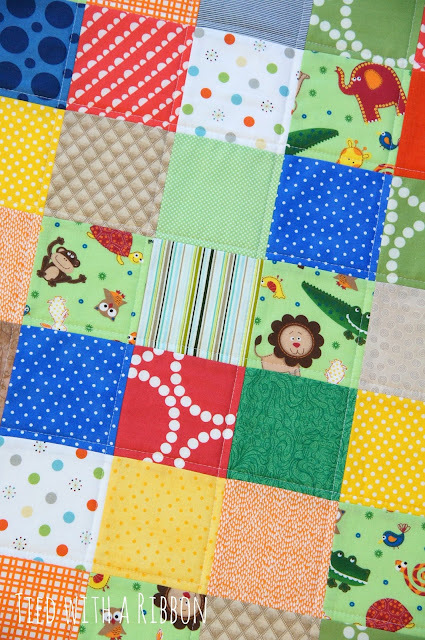 These Jungle Safari cot quilts were a custom order made to tie win with a stunning mural that has be painted in the Nursery! Both almost identical except for a few squares here and there! 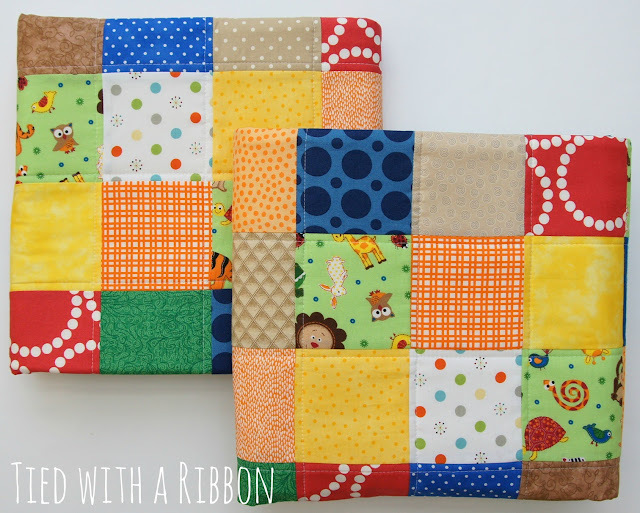 One binding was sewn in orange and the other in blue. It took much longer than usual for me to choose binding. As I did not know when I was making them if the babies were girls or boys it was difficult to try and keep the binding neutral for any combination. 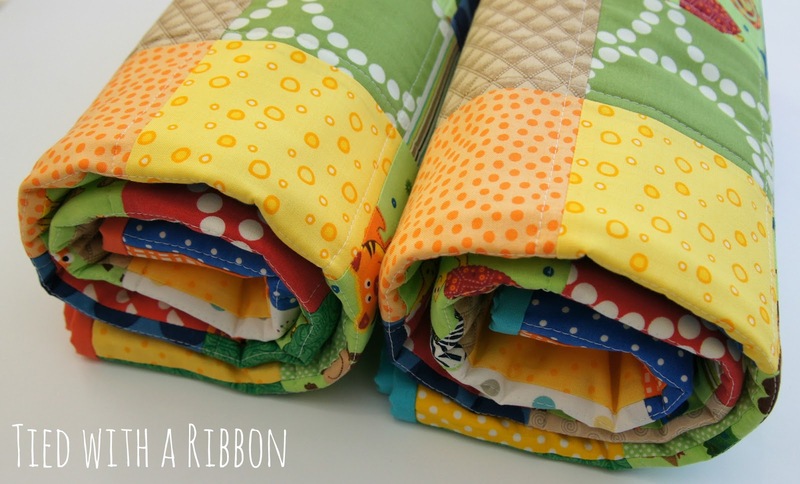 Eventually I settled on these Kona Solids to compliment and not distract from the quilts. 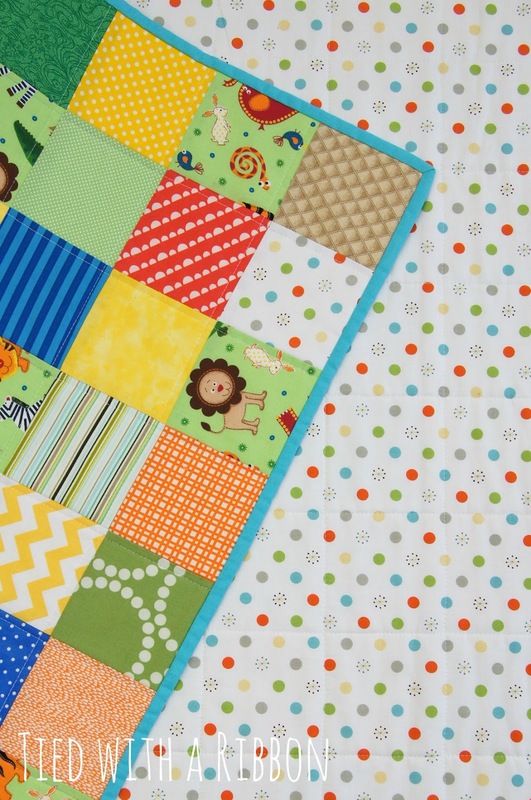 The backings are this cute Riley Blake fabric called "Life in the Jungle" - how fitting for these quilts. 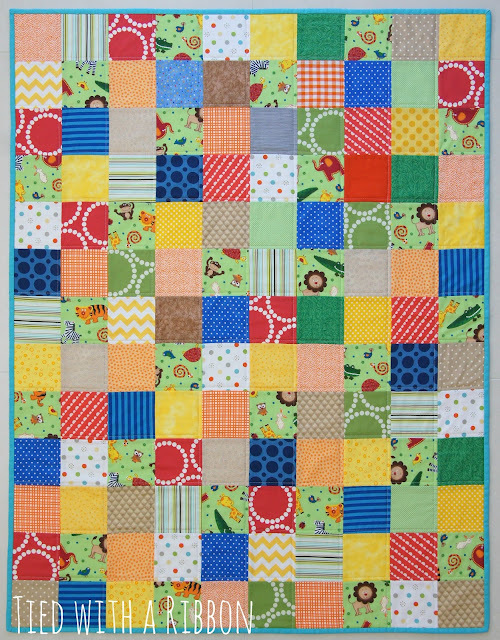 The quilting was kept simple going with the direction of the squares to create a large grid.